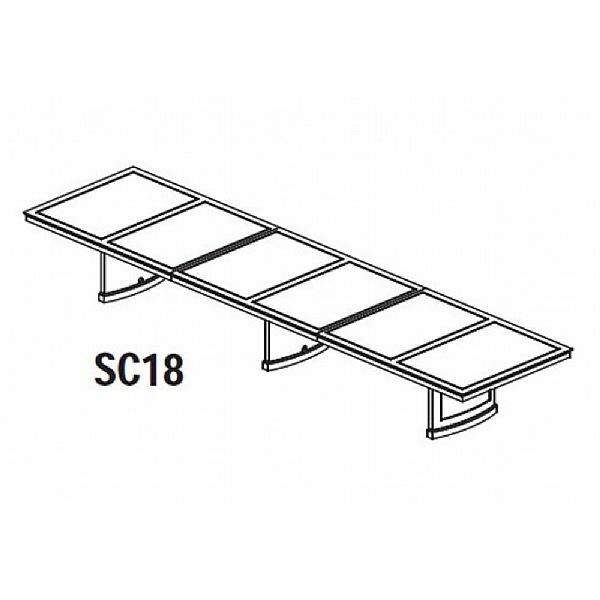 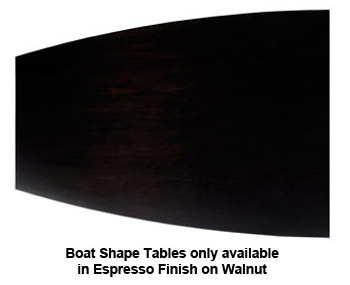 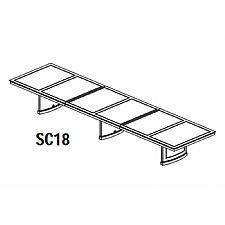 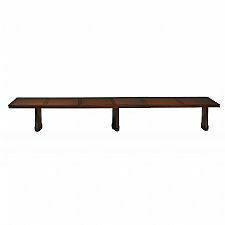 Sorrento 18' Rectangular Bourbon Cherry or Boat-Shaped Espresso Walnut Conference Table. 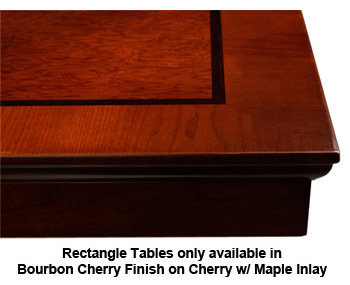 North American Hardwood veneers. 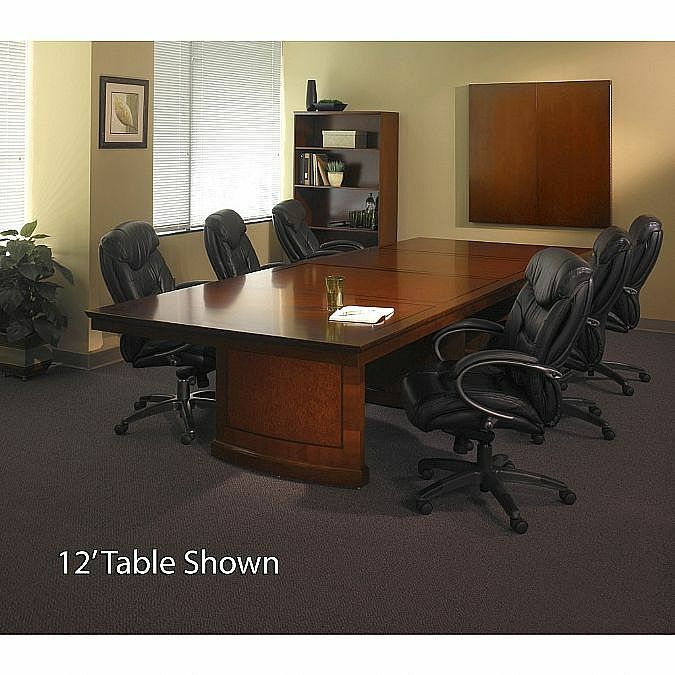 Substantial 0val pedestal base and three inch thick edge profiles create a powerful presence. 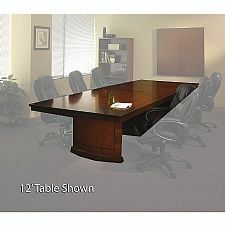 Optional wall-mounted presentation cabinet, buffet and storage centers available separately. Add power and data to the work surface to support laptops or an LCD projector.